Ex-Megadeth members unite for new project! Ex-Megadeth members form new project. You can’t keep a good man down, well a few good men anyway! Former Megadeth men Nick Mezna and James Lomenzo have added Chris Poland to the lineup of their latest project. 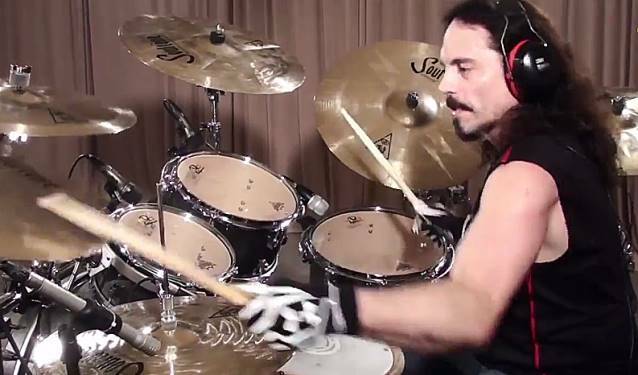 Nick Mezna – Former Megadeth drummer. The drummer and bassist started working together earlier this year. Now they’ve confirmed guitarist Poland began rehearsals with them this weekend. Menza’s website reports: “Chris, best known for his work on Megadeth’s first two albums, has been confirmed as lead axeman for the as-yet unnamed project. The trio never worked together in Dave Mustaine’s outfit – Poland left in 1987, Menza joined in 1989 and stared for nine years, while Lomenzo was a member between 2006 and 2010. They’re planning to release an EP early next year.